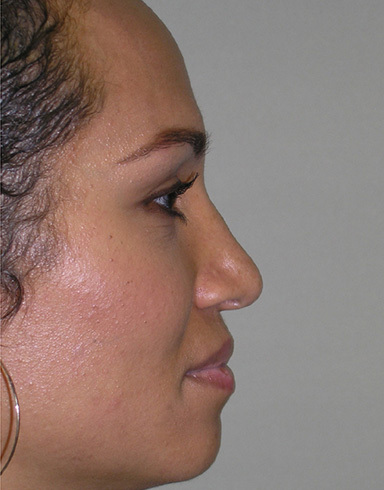 Mrs. B wanted a narrower, slightly more refined nose with smaller nostrils as well as chin augmentation. 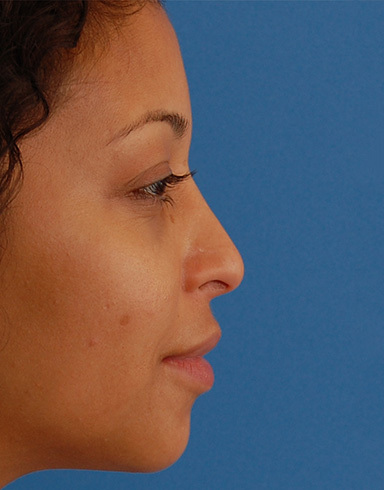 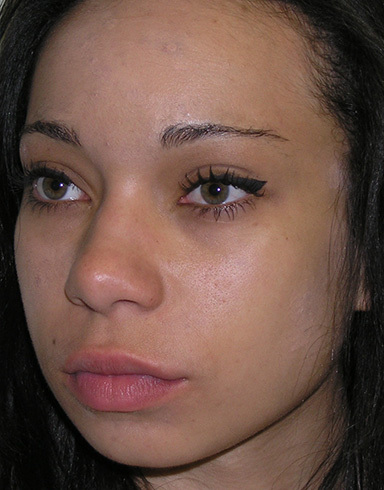 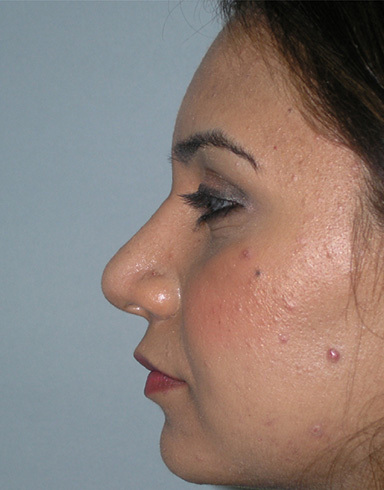 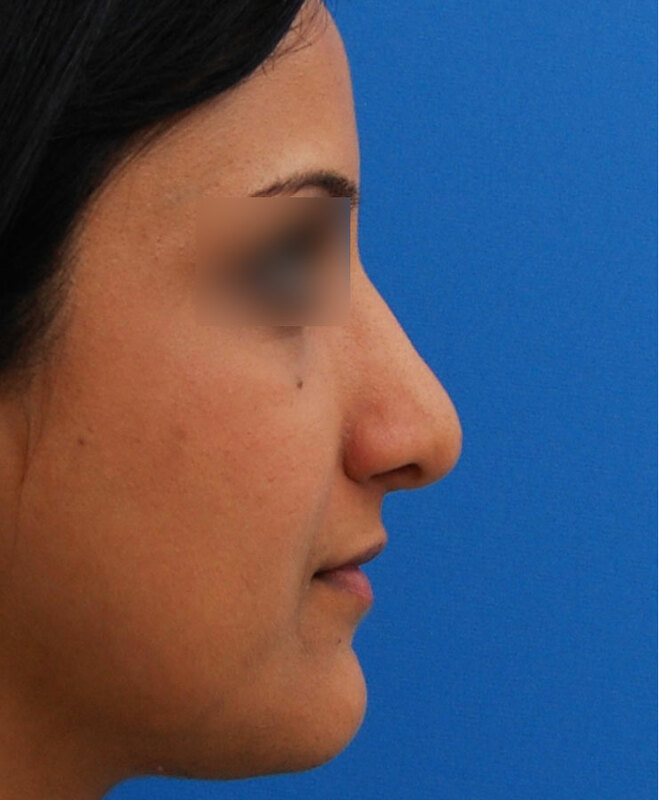 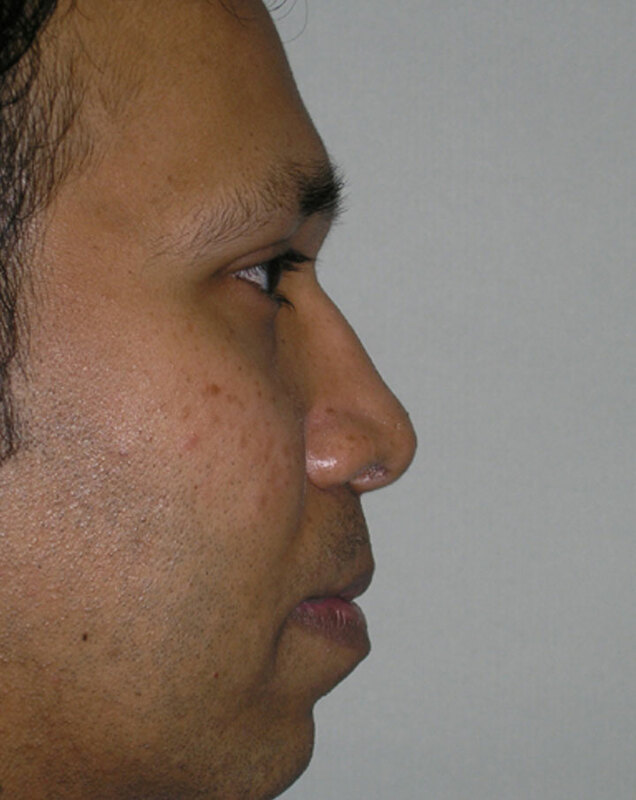 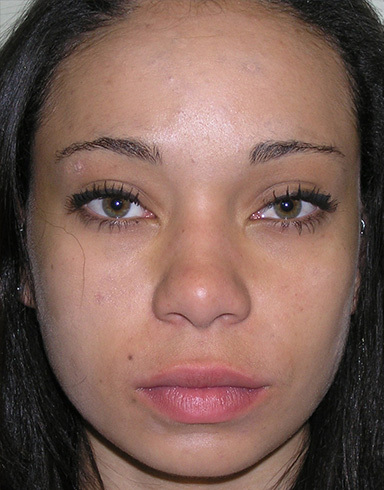 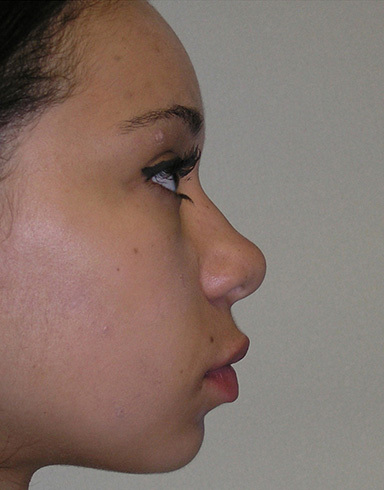 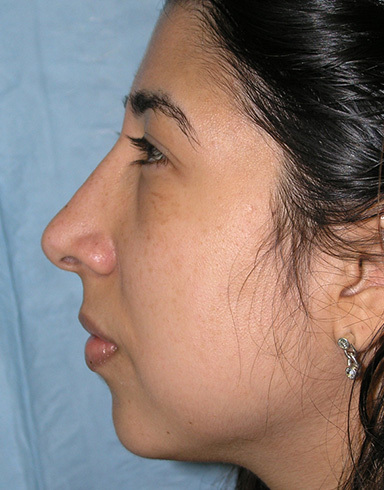 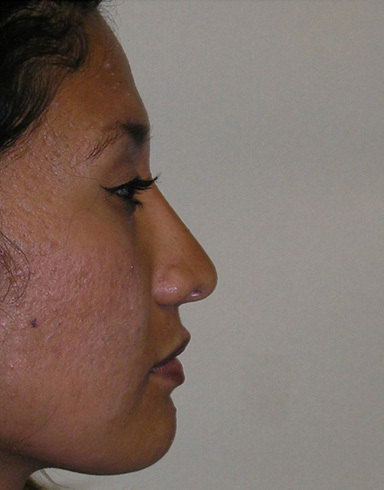 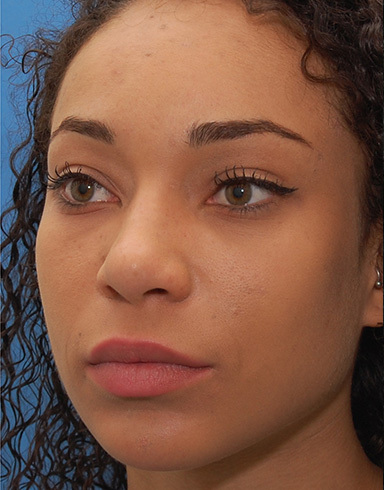 A closed septoplasty and Tip-Profile (comprehensive) Rhinoplasty was performed as well as placement of a chin implant. 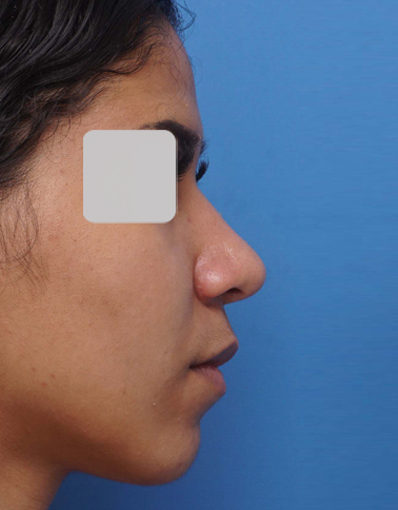 Sutures were used to narrow her tip and a 2 cartilage grafts were used to add strength and height in order to narrow and overcome medium thick skin. 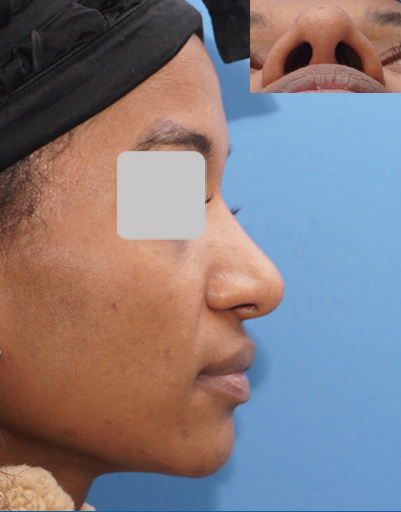 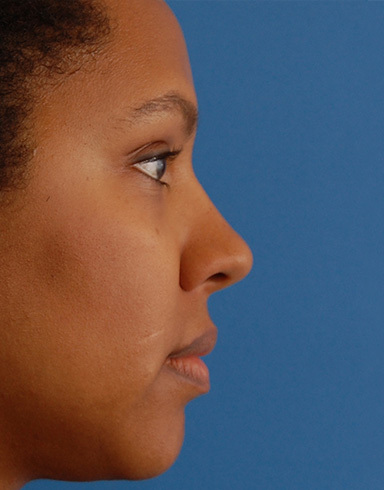 A cartilage graft was placed at the radix (top of the nose) to narrow the bridge and alloderm was used over the graft and profile to ensure smooth transitions. 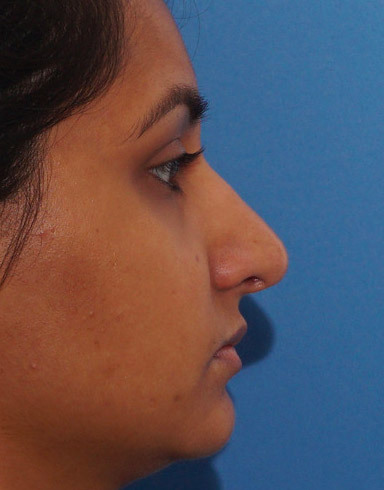 Narrowing of the bridge was also performed, as was alar base reduction. 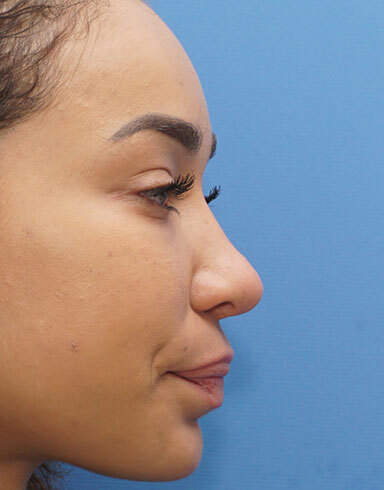 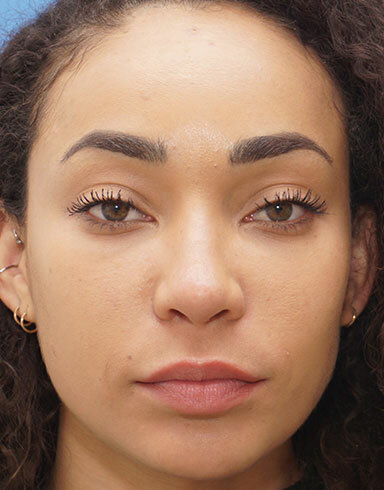 A chin implant was placed from an external incision, which helped to transform her facial balance and add harmony to the profile and new nose. 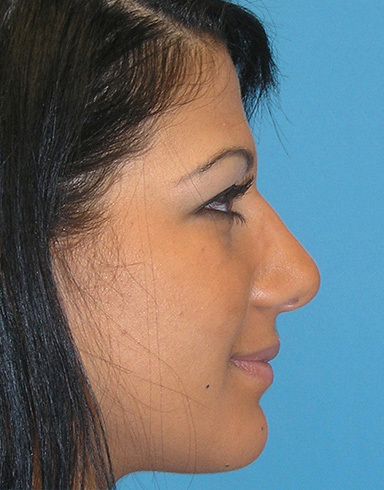 The result is a subtle but dramatic refinement in her appearance. 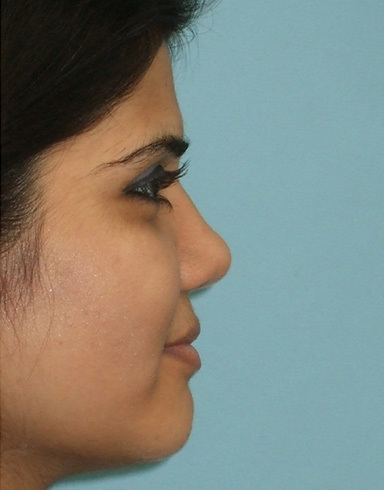 Click here to see the patient's testimonial video.